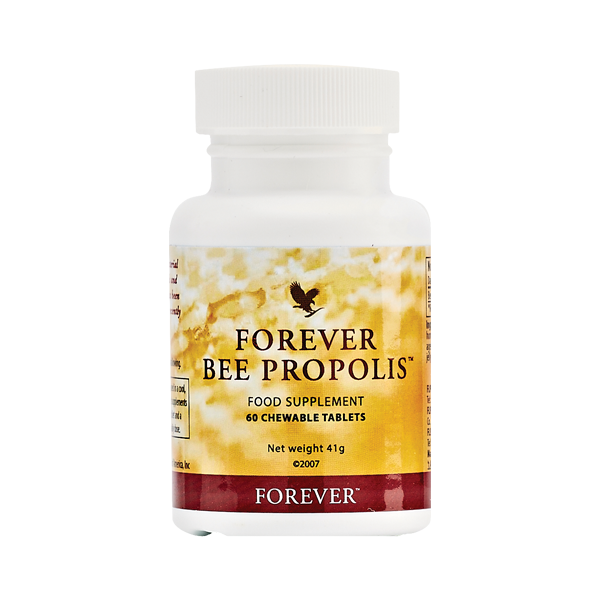 Forever Bee Propolis, contains 22 amino acids, B-complex vitamins, your natural immune support. When we think of bees, honey and pollen are foremost in our thoughts. Yet another important substance, propolis, is a sticky resin secreted by trees. Honeybees collect and metabolize the propolis, then line their hives with it to protect the hive. Containing 22 amino acids, B-complex vitamins and fortified with royal jelly, Forever Bee Propolis is an excellent way to help support the body’s natural defenses.